Where Can You Find Federal Case Filings? We probably take our easy access to state court materials for granted, what with much electronic access offered in all Minnesota courthouses, backed up with archived material at the State Law Library. On the other hand, how do you find the federal case information you need, with as little inconvenience and expense possible? Sounds simple if you just want an appellate opinion from the Eighth Circuit (Google Scholar of course), but it is trickier if you need a filed motion or complaint at the district court level. We investigated three different options for locating federal materials. Courthouse Access - For one or two items filed in the U.S. District Court of Minnesota, a visit to the Warren Burger Courthouse might be your easiest answer. There you will find two public computers in the clerk’s area for accessing filed materials. Be aware that you can only get Minnesota district or appellate materials this way, and that printing them will cost you10 cents per page. If you need assistance from the clerk staff, the document will cost you 50 cents per page to print. If a filed item is listed electronically but not linked (probably because it is greater than 50 pages long), you must get it from the clerk staff who will copy it at the 50 cents per page rate. Clerk staff told us that this electronic system will allow users to search records back to “the early 1990’s.” If a case has progressed to the 8th Circuit appellate level, the documents are still accessible provided it started or became a Minnesota district case. (You cannot access 8th Circuit appellate documents that started in Iowa, for instance.) 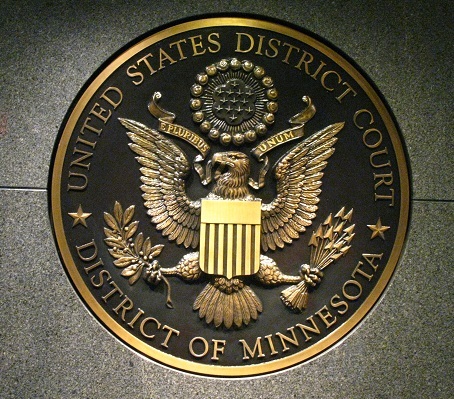 The Minnesota clerk’s office can send materials out-of-state either electronically or in hardcopy, but that a person must send in their money first. The charge will again be 50 cents per page. For more information contact the clerk’s office. PACER – Federal court users are strongly encouraged open an online PACER account, which might be the most convenient and affordable option of all. Simply go to the PACER homepage and select the registration tab. The “registration wizard” will then walk you through the steps to get started. One must provide credit card information, or allow PACER to verify their address to allow for billing. Pacer will allow you to search and print district, bankruptcy, and appellate courts, and print filings from any of their districts and not just Minnesota. By Judicial Conference policy, if your usage does not exceed $15 in a quarter, fees are waived. PACER’s greatest value is in accessing filings for out-of-state districts, as opposed to having to contact the respective clerk’s office. For additional information, you may want to print out this handy PACER users guide, or take their online training. Westlaw - We offer free Westlaw in the library, and our subscription offers much (but not comprehensive) federal case law coverage. Federal case coverage available through Westlaw begins with 1790. At the district level this will be opinions only, but Westlaw does offer brief access for U.S. Supreme Court and Courts of Appeals cases. And not all cases are available, as the Westlaw scope note states that “[c]overage varies by court.” Westlaw allows free email delivery of documents, but not every document is offered with the email option. We charge 15 cents per page for print jobs at the library.